It is a pleasure to hear your reports on tui spotting. And some of our citizen scientists are not only great scientists but also great photographers. And they are all happy to share their pictures on our site. Thank you so much for that! We will be regularly posting the pictures we receive on this site, so keep visiting! We have also received a lot of data over the email (popscinz [at] gmail [dot] com). That data has been entered on the spreadsheet that lives in google docs (here). Please let us know if you have difficulty opening the spreadsheet! 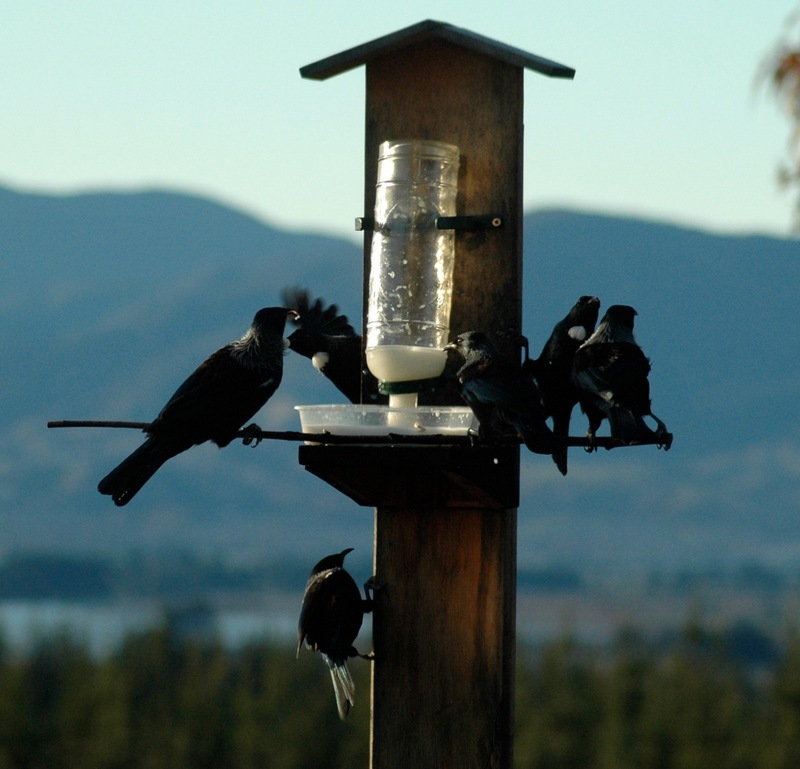 It seems that tui are enjoying the feeders that have been set up for them, and here is a beautiful picture by Joe Cuthberston, who says this picture was taken in June, 2009, and that tui would perch on a nearby gum tree before hopping onto the feeder. Thanks Joe! « New Zealand Citizen Scientists Rock!